On November 9, 2015, following an intense few weeks of student protests on Mizzou’s campus and the resignation of UM System President Tim Wolfe earlier the same day, University of Missouri Chancellor R. Bowen Loftin stepped up to a podium in front of the Board of Curators and the journalists gathered. “I have decided today that I will transition from the role of chancellor of Missouri effective at the end of this year and move into a new role where I will work with many people across the system to advance our research mission,” Loftin said. 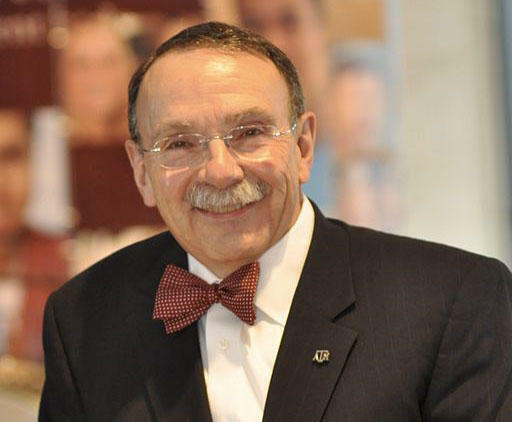 According to R. Bowen Loftin’s Terms of Transition Agreement, signed by both Loftin and former UM System President Wolfe, his new positions would be the Director for Research Facility Development and the Director of University Research in support of the Tiger Institute for Health Innovation. This institute is a partnership between the University of Missouri and Cerner Health. Days later, on November 12, 2015, Cerner Corporation sent a letter to the chairman of the UM Board of Governors to complain that Cerner had not been consulted or notified about the decision to give R. Bowen Loftin a role within the Tiger Institute. So this position did not come to fruition. What has R. Bowen Loftin been up to since he stepped down as MU Chancellor? What has he done in three and a half months – all while still being paid his full salary? "I didn’t sit around," Loftin said. "I’ve been very busy." Loftin has a new office in the General Services building. It is a normal looking office, with books on chemistry, math and physics lining the walls. He said the office is rather new to him, and he had been working from a small office in the Chancellor’s residence up until the new placement. He said that he has spent the last few months communicating and reconnecting with people who could help further the university’s mission. Loftin had a long history in research prior to becoming a full time administrator – including being a professor of physics, a physics department chair and the director of the NASA/University of Houston Virtual Environments Research Institute from the late '90s to early 2000s. While a new title has not yet been confirmed, Loftin said that he and Interim Chancellor Foley had a conversation about what he could do to best help the university, and they settled on Loftin using his relationships and years of experience in the field to help the university find more opportunities for funding through the national security sector. “I want to find opportunities and relationships for faculty at MU and across the UM system that give them the ability to do what they want to do. In terms of research related to national security,” Loftin said. Loftin said he is reconnected with individuals that he worked with or advised in the past – trying to get himself back “up to speed” in the field. He said that over time he hopes to be meeting with faculty members individually to talk about the research they would like to do in the future. 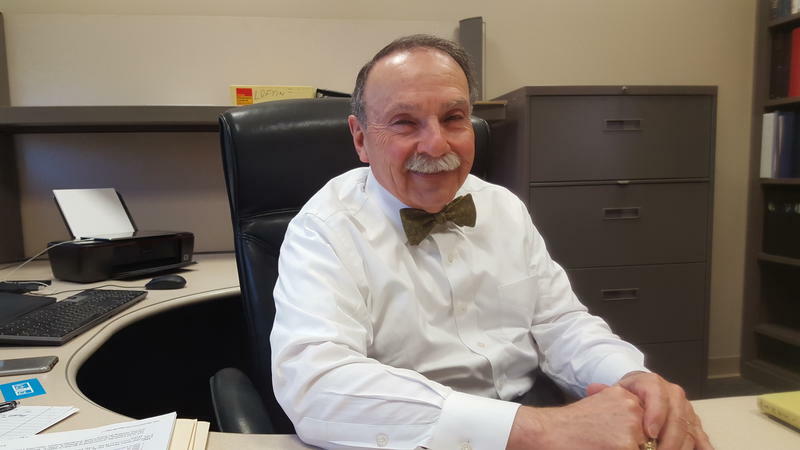 “Then if I can find a connection that enables them to build a partnership to obtain a grant or contract for their work then that’s a positive thing going forward,” Loftin said. Loftin says he is working under the assumption that the specific letter of appointment will be finalized soon, and said he is working for a long list of bosses. According to Loftin, these include Dr. Mark McIntosh,the MU Interim Vice Chancellor for Research, Graduate Studies and Economic Development; Dr. Bob Schwartz, the Interim Vice President for Academic Affairs, Research and Economic Development of the UM System; and Dr. Elizabeth Loboa, the Dean of the College of Engineering. Loftin said he is not only spending his time learning about and meeting with faculty members, but he is also traveling to different conferences and events to learn more about the field and tour the labs of those he has worked with in the past. He has already spent days in Kansas City, and is planning to travel to Kansas City, Los Angeles and Washington – all in just the next few weeks. When asked who was paying for the travel, the University or Loftin himself, an MU spokesperson declined to comment. But he said, at least in his mind, he has not been sitting idle waiting for a job to come to fruition.